Aloha everyone! 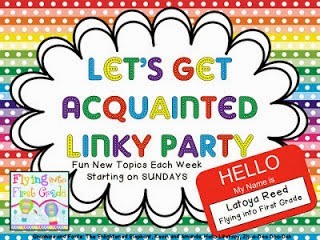 This is my first time linking up with Latoya for her fun Let's Get Aquainted Linky. This week she is asking us to share out about two of our bloggy friends. This one was hard to do because there are so many wonderful ladies who have helped me over the course of the year in my blogging ventures. Well first I would like to give a shout out to Miss T from Journey of a Substitute Teacher. She has always been super supportive and gave me my first shout outs when I started blogging. She has helped me make some great contacts and always has a kind word for everyone! Did you know that she also has some mad skills when it comes to clip art? If I am in need of any particular type or theme she is my go to gal!! She has saved me hours of hunting!! If you don't already follow her then you need to stop by and say "Aloha". 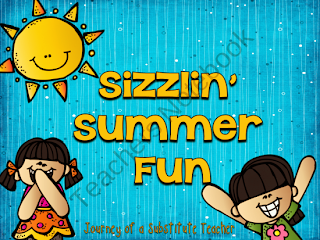 She also has this great freebie in her Teacher's Notebook store that you need to check out. Next up is my good friend Patty over at 2nd In Line. She has been a wonderful supporter of my blog since I started as well. She is a second grade teacher in Michigan and has some great ideas! She is always more than willing to share with me and she is just a super sweet lady! Surf on over and check her out! She also has a really cute freebie called Summer Reading With A Flashlight. You can download it in her TpT store. I know it's supposed to be two, but I just had to mention Barb over at Grade ONEderful. She is a blogger in Canada and I love stopping by and reading all of her posts. She is also a blog designer and has given my blog a facelift. I plan on adding a bit more this summer and Barb is my go to gal. If you don't already follow her you should hop over and check her out. I wish I could shout out each and everyone of the ladies who have been influential in my blogging, but I would be typing all night and I still have fill out my purchase orders for next year. Stop by Latoya's blog and check out all the great links! Aww love ya Corinna! You're a great friend to have! Omg! Girl! You blew me away! I consider this a huge honor to be your friend! Thank you so much for the kind words and the shout out! The feelings are mutual! I was watching the video of your daughter with the sunglasses and Afro and my husband came up and asked what I was watching. I said, "oh it's from my friend in Hawaii!" He just smirked and walked away! He likes to say my cyber friends aren't real! But this is proof that you are real! 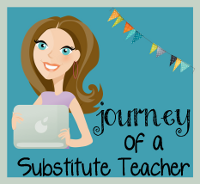 Barb did my blog and I think she is AMAZING! What a great linky - I'm off to check out you friend out 2nd in Line! Hope all is well. I just love Barb too! She is so sweet. I'm really touched that you included me in this post, Corinna. I consider you my friend, too! I just had a moment. You know, the moments when you shake your head in disbelief? Here I thought I was already following you...Goodness gracious. Well, needless to say, I am glad I checked and YAY! I am following now! I think your 3 blogger friends are absolutely amazing and I am so glad to see them spotlighted on your page today!